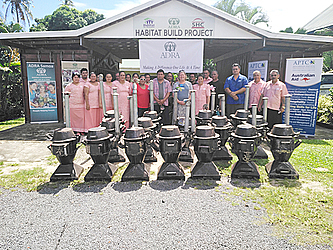 Sixteen new made in Samoa pot belly stoves will soon be making their way to families around the country affected by Cyclone Evan. The ovens have been presented to the Adventist Development and Relief Agency (A.D.R.A.) 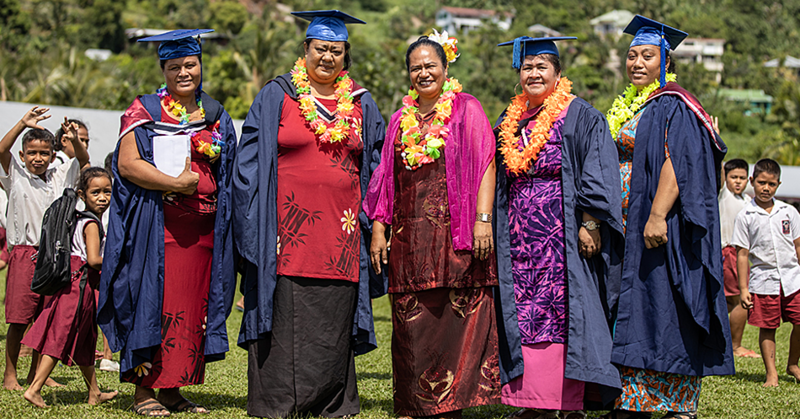 Samoa by the Australia-Pacific Technical College (A.P.T.C.). The ovens will be distributed to families affected by Cyclone Evan. A.P.T.C. Country Manager, Pat Vella said they had been working with A.D.R.A. to construct houses for families whose homes were destroyed by the cyclone. “And that project has now finished and we are always looking for opportunities where we can work together. “More recently our Engineering, Welding and Fabrication students who are drawn not only from Samoa, but all over the Pacific, as part of their course work, they had to construct a pot belly stove. “It’s something that’s traditionally made for heating but it is very helpful for cooking. “The students have to build that and to demonstrate how they can use the metal so they have to do curves and all that and it has to work well. “The stove operates with the use of woods, chuckle, dry coconut shells and it is not gas operated. Ms. Vella added the stoves were another project by the students to help the vulnerable families. “These items are another example where the students have to do something to demonstrate their learning and if the product can also be of benefit to the needy families and communities, then that’s a fantastic outcome. “And people can use anything that is burnable but we highly do not recommend anything that’s highly flammable like fuel because it can create safety hazard and the risk of explosion,” she added. Country Director of A.D.R.A. 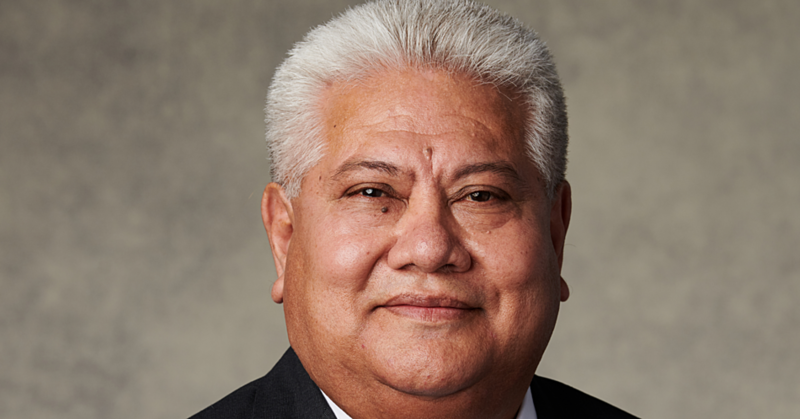 Samoa, Su’a Julia Wallwork, acknowledged the support of A.P.T.C. “So we are going back to those families to identify who will put it these stoves in to good use and that the stoves will make a difference in their lives. Ms. Wallwork said A.P.T.C. 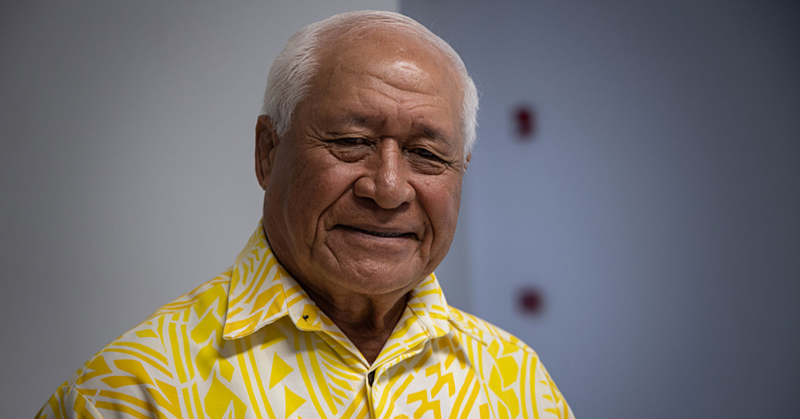 used their carpentry course and the Samoan students from affected areas to help rebuild their communities and families through their partnership. “We are very grateful that it was another way to help the families who really need it. “It’s been really good that A.P.T.C. has offered these stoves and that A.D.R.A. can distribute them to the families so that we make a positive change in their lives and I know these products are steady and I know they will last for a long time.